Genius. 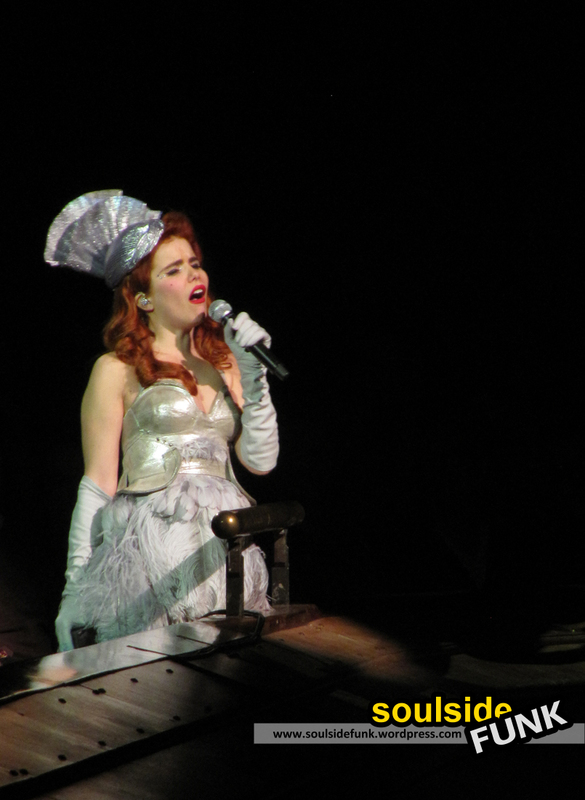 Paloma Faith and the Guy Barker orchestra was everything a special event at a prestigious venue like The Barbican should be. It was original. It was exciting. It was fun. And best of all it all sounded stunning. Down At The End of Lonely Street, was an idea born out of a great, but no longer with us, London venue, The Black Gardenia. It was in this dingy, 1950s styled club that Guy and Paloma met. After which they came together to create this musical ode to heartbreak. And what a musical ode it was. 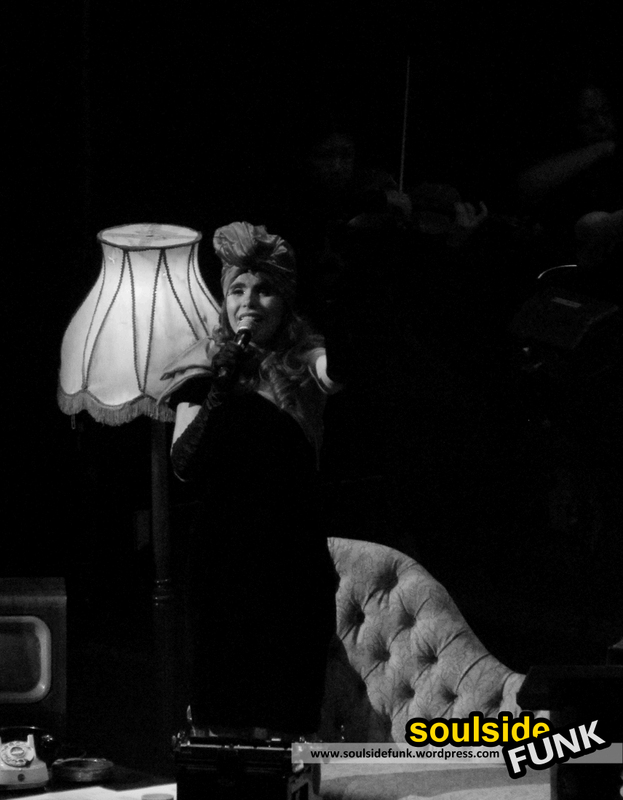 Paloma’s jazz styled voice sat gracefully over Guy’s orchestra. Each song seemed to soar through the air. It was a joy to listen to and begs to be recorded and released. The first half was special and included, Son of a Preacher Man, I Just Wanna Make Love To You and Dance Me To The End of Love. All restyled to fit the big band sound. It was the second half however that took things to the next level. After a great instrumental track, a beautiful and powerful rendition of Paloma’s New York got things off to the right start and no one looked back from there. It almost seemed as if Guy’s orchestra had all taken something during the interval, as there was a new impassioned energy, they had seemed to have caught fire. The One That Got Away was sensational. 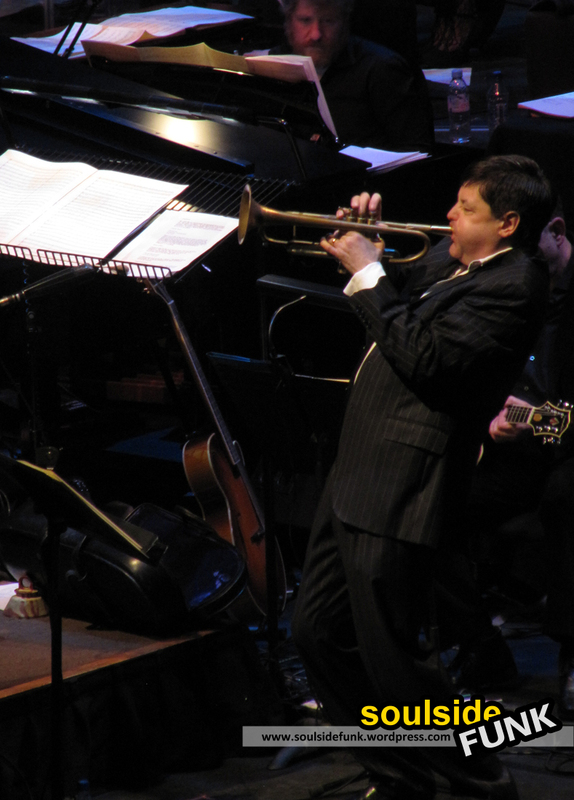 The strings soaring through the Barbican Hall accompanied by Paloma’s aching voice and some dramatic brass. One of the best live songs I have probably ever heard – it was that moment (which usually happens in rehearsal) when everybody nails it, when you finish and know it was sh*t hot. If the soundman was recording on Saturday, they are a very very lucky indeed! Despite being about “heartache” the whole production was jovial. Paloma acting, forgetting her words, then improvising made for a engaging and cheeky performance which was full of character. So, the second half could have done with more solo performances, and they maybe could have snuck in a few more of Paloma’s own songs… but that is nit picking. The show was original, full of life and they used the venue and the music to create something really quite special. Getting the entire audience on their feet for a encore of Upside Down was a fitting end to a great night. I cannot wait for them to do it all again (or at least put it all on CD… download… 78…). Guy, your orchestra, Paloma… thank you! Posted in Gig Photos, Gig ReviewsBookmark the permalink.